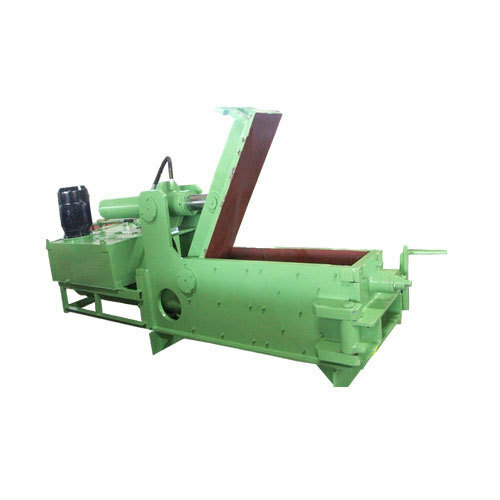 Remso offer Metal Scrap Baling Press Machines, Cotton Baling Machine, paper bailing machine. 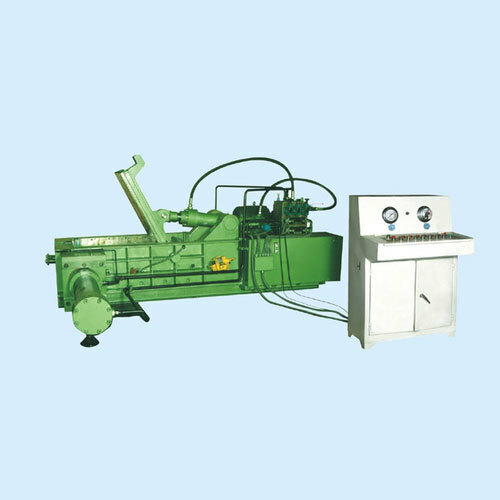 This light duty scrap baling machine is having single compression and capable to bale up to 50 KG. in weight. This is a medium duty scrap baling machine. having two hydraulic compressions. This is extra heavy scrap baling press having three hydraulic compressions. Highly Automated but very simple in operation through two nos. Manually operated Direction Control Value. One to operate the top lid and another to press the scrap. Remso's Triple Compression Industrial Hydraulic Bailing Press consistent of quality in our products, timely delivery, customer oriented approach and affordable prices. The benefits of Remso’s Bailing press is high throughput capacity, large feed hopper, fully guarded front door with maintenance inspection doors, hydraulic door locking system, interlocking to the hopper feed (ensuring operator safety during routine maintenance) and reputed hydraulic system. Remso Control Technologies compiling basic and advance engineering in Bailing Press capabilities chambers possess the blades that help with an accurate shearing process and a top lid is present in order to shear the material that attains an imperfect size with an efficient heat control system is established that keeps the oil with a cooling temperature. Also in addition to that the entire machine can be equipped with an automated system with a fully a PLC power approach. In house production of Triple action balers consist of diverse figure and dimensions that we implement with an intention to serve the entire industrial needs. A weight of 25 tons is lodged per hour thus capable to carry out a huge industrial labor efficiently without any operational trouble with tons of capabilities like requires minimum maintenance low power consumption, sturdy construction, optimum functionality, high operational efficiency, high tensile strength, corrosion resistant, dimensionally accurate, easy installation, high durability, durability, long service and life and corrosive resistance. Remso Control Technologies hydraulic metal scrap baler is capable of extruding various metal leftover, steel paring, waste copper, aluminum stainless steel and scrapped car into regular charging as square, column, cylinder etc. different shapes. By this way, the costs of transportation and refining can be reduced. It also make the transportation easier and faster. This machine mainly used in steel plants, recycling corporation, waste recovery and metal refining industry. 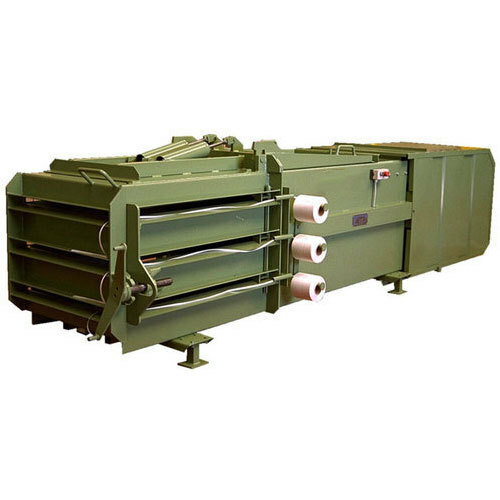 Size of compression chamber and bale can be customized. Pressing force ranges from 125T to 1000T. We are factory with strict quality control. Remso Control Technologies Pvt. Ltd is designing and manufacturing state-of-the-art and efficient waste management solutions for scraps ranging from scrap metals (ferrous and non-ferrous) to plastics to paper scrap. We at Remso provide both manual and fully automatic PLC controlled hydraulic scrap baling machines. 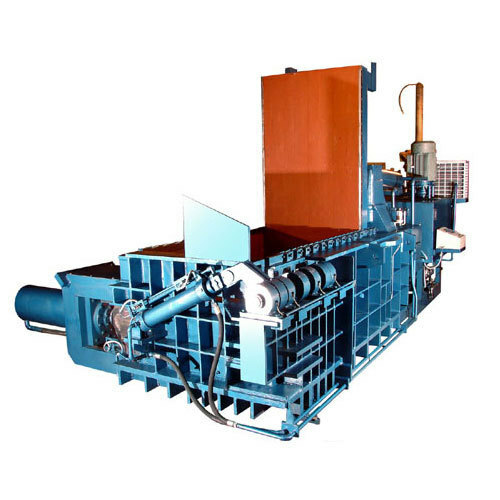 The range of our bailing machines includes metal scrap balers, paper and plastic scrap baling press, metal shredders, shearing machines, box shear baler and briquetting machines. Apart from manufacturing and exporting highly advanced scrap processing systems, the company has also successfully implemented many turnkey projects in various countries relating to metal melting and forming. All our machines and processes are labour efficient, production efficient and power efficient which give higher productions with minimum labour. Our quality products makes us India’s largest manufacturer of scrap processing machines. 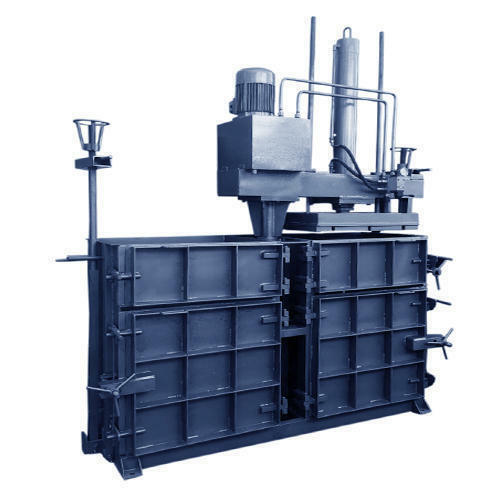 Backed by an energetic team of professionals, we have been able to manufacture and supply a wide array of quality assured Scrap Bailing Machine. Following industry defined norms, we manufacture these entire range by utilizing up to date machines, modern technology and fine grade raw material. In tune with customers numerous requirements, we avail these entire range in various sizes. Remso Control Technologies provide customer a healthy Bailing Press equipment’s with reliability in hydraulic systems and having reputed form of power pack machine. Remso offer hydraulic metal scrap baler is capable to compress various metal leftover, steel paring,waste copper, aluminum stainless steel into regular charging as square, column,cylinder etc. different shapes. By this way, the costs of transportation and refining can be reduced. It also make the transportation easier and faster. This machine mainly used in steel plants,recycling corporation,waste recovery and metal refining industry. Size of compression chamber and bale can be customized. 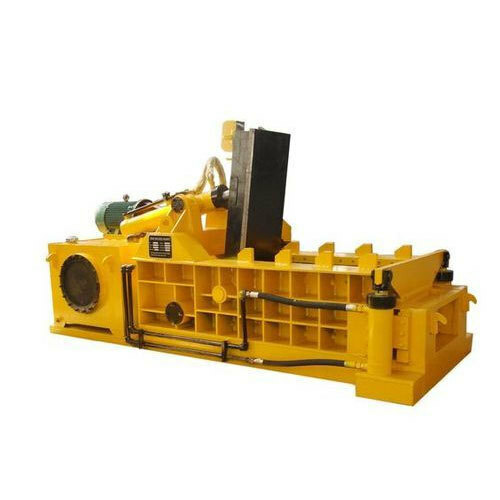 We offer supreme quality Scrap Bail Press that is manufactured using best quality raw material and advanced technology by our skilled professionals. These products are made available in different sizes as per the specifications given by the customer. Being customer oriented company, all the products undergo quality check to ensure its flawlessness and deliver within the stipulated time period. Remso Control Technologies is having robust and experienced trained team for Scrap Bailers and also for other products too with technical professionals, efficient quality control department and computerized design section for helping our clients to offer products that exceed the expectations. 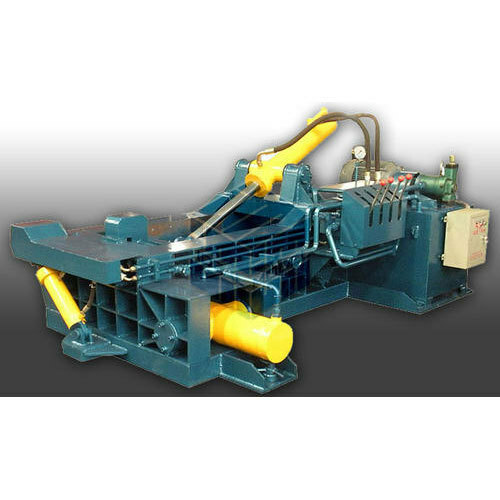 All the assembled equipments are fabricated with standards for both Ferrous and non ferrous waste material. Remso offering global clients Heavy Duty Scrap Bailing Press that system integrates accompany a robust feature that is strongly resistance to adverse conditions although even it is easily expendable thus affording a stringent durability with tremendous functionality double action Baler certifies a flawless after sale performance without any negative issues. 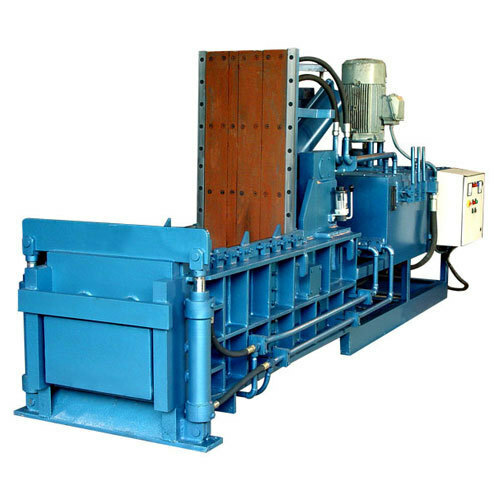 From year 2001 to Remso Control Technologies are manufacturing Single Action Hydraulic Bailing Press with fully automatic system for Scrap Yards, ferrous processing and non-ferrous metal. Bailers with high corrosive resistant, excessive pressing forces and impact load system. Remso's Bailing press are fastest and strongest in production bundle of scrap compact and sturdy designing system and it requires least manpower for functioning and are energy efficient. These scrap bailing presses are capable of compressing various housing of scraps, metal structural scraps and metallic chips into bales. Single compact unit mounted over channel. Production Capacity (approx.) 5 Tons to 7 Tons per hour. Remso offer scrap bailing press for steel & aluminum industries. 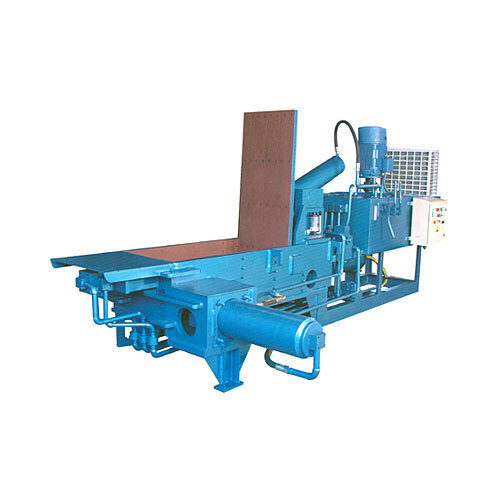 Designed and manufacture with highest level of precision, these metal scrap bailing presses efficiently make bales of stainless steel and other metal scraps. These systems require least manpower for functioning and are energy efficient. The systems are used for processing ferrous or non-ferrous scrap in all forms. These scrap bailing presses are capable of compressing various housing of scraps, metal structural scraps and metallic chips into bales. 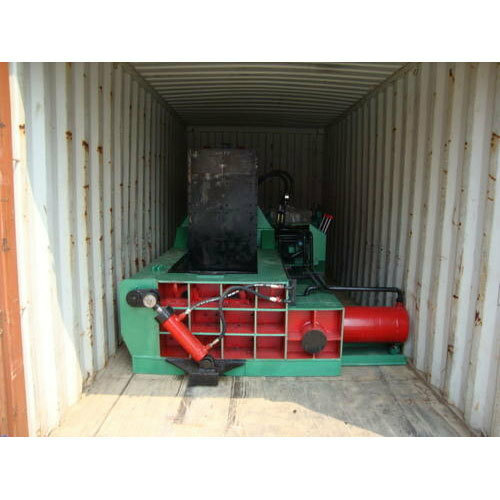 Looking for “Scrap Baling Machine”?